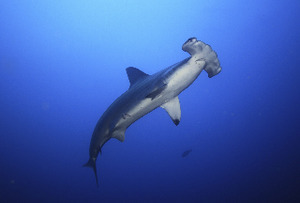 Hawaii has become the first state in the United States to ban shark fins. On Friday 28th May 2010, Governor Linda Lingle signed a bill prohibiting the possession, sale, trade or distribution of sharks fins. Exceptions will be made for researchers who have obtained a special permit. Lawmakers hope the new law, the first of its kind in the United States, will help prevent overfishing and extinction of sharks harvested for their fins. Restaurants in Hawaii have until the bill goes into effect next July to sell their current inventory. Those found in possession of shark fins after that will be fined between $5,000 to $15,000, with the third offense netting a fine of $35,000 to $50,000 and up to a year in prison. "With a third of open ocean shark and ray species threatened with extinction, we congratulate Governor Lingle and the people of Hawaii in taking these incredible steps," commented Jenny Miller Garmendia, Director, Project AWARE Foundation. "We hope other states across the US and indeed countries around world take action to protect sharks now and in the future," she added. Project AWARE Foundation, a registered nonprofit organization, works in partnership with divers to conserve underwater environments through education, advocacy and action. To get involved in environmental activities and make a lasting difference visit www.projectaware.org.